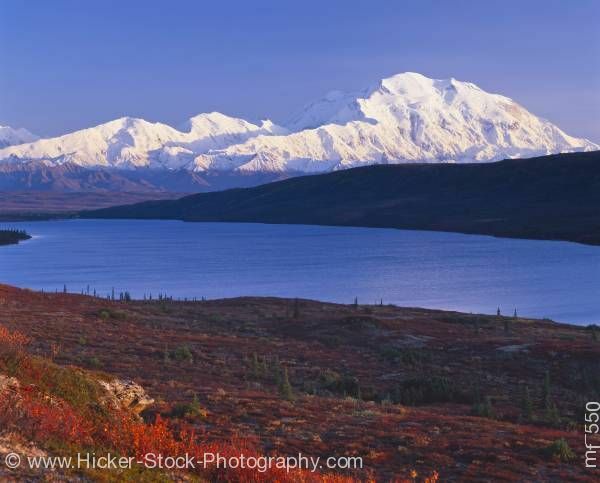 Stock photo of Mount McKinley and Wonder Lake in Denali National Park, Alaska in autumn. Nature and scenery with no people in Denali National Park. Mount McKinley with Wonder Lake with colorful fall colors in autumn with clear blue sky, Denali, Denali National Park, Alaska, USA.